Working as a private chef or in a role that necessitates regular meal preparation means constantly creating lovely, delicious, healthy, and impressive meals. There are so many aspects to developing a weekly menu that will satisfy and delight your principal, but keeping your recipes dynamic and the options new and innovative is absolutely key. We have found that one of the best ways to challenge yourself while also exceeding everyone’s expectations is to consistently seek out inspiration from other professionals. We encourage anyone who works in private service to regularly check out how others are tackling the challenges that you face day in and day out. 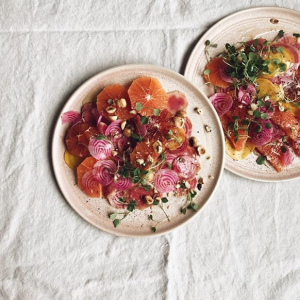 Here are a few of the blogs that have been inspiring us in the kitchen lately! ALISON ROMAN is a cook, writer, and author of Dining In. 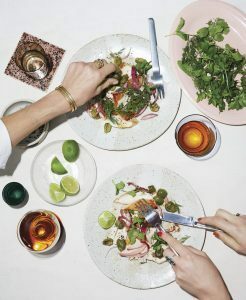 Formerly the Senior Food Editor at Bon Appetit Magazine and BuzzFeed, her work has also appeared in the The New York Times, Cherry Bombe, Darling and Lucky Peach. In 2015 Short Stack Editions published her first book on her favorite ingredient, lemons. Originally from Los Angeles, she lives in Brooklyn where she tries to eat pizza for every meal, sometimes successfully. 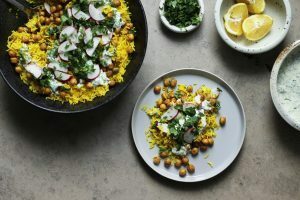 Her blog is filled with simple-to-follow, and easily executed dishes with creative combinations of easily accessible ingredients, and stunning photos to boot. Kathryn Pauline is the creator of Cardamom and Tea, a blog inspired by Assyrian food.While some of the traditional dishes you’ll find are specific to Assyrian cuisine, many of them are shared by lots of different cultures, nations, and religions all over the Middle East (and the world!). Ashley Rodriguez happily shares her passion for all things salted; sweet and savory, in hope that you too will find pleasure, joy, and sustenance in good food. Not Without Salt is a tool for helping you eat well and enjoy the process of cooking and baking real, good food. 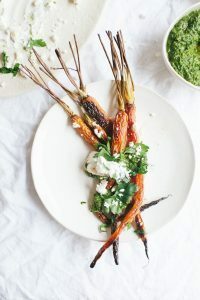 This is such a great blog to check out when you’re looking for creative preparations for some ingredients you’ve likely already got on-hand, along with some more challenging recipes with straightforward instructions and gorgeous step-by-step photos. 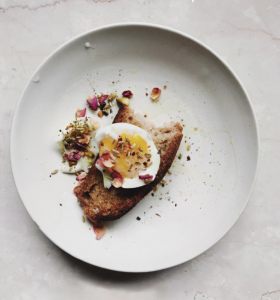 Aran is a Seattle-based, Basque Country born and raised, author, food stylist and photographer. Her work focuses on the emotional component of food and everyday life through visual stories. She authored her first cookbook “Small Plates & Sweet Treats: My Family’s Journey to Gluten-Free Cooking” and has styled and photographed multiple other cookbooks. Her work has been featured in many publications such as The New York Times, Food & Wine, Conde Nast Traveler, GFF magazine, Sift, Travel & Leisure, Vogue, Town & Country UK, Wine Enthusiast, Coastal Living, Cherry Bombe, Sweet Paul, and many more. 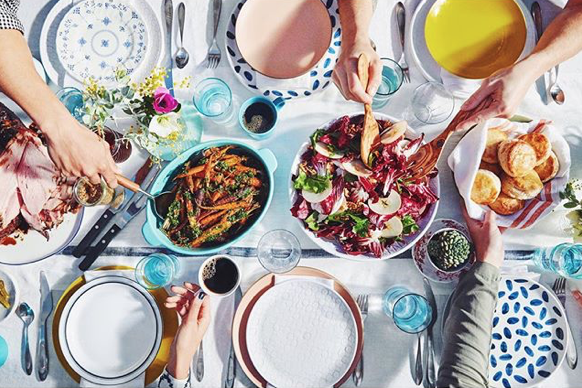 This blog is a visual treat that affords the reader interesting travel stories, lovely photos, and remarkable recipes that are sure to tempt every palate. Sapana Chandra (pronounced “Sup-na Chun-dhra”) is a certified health coach, wellness blogger, professional plant-based cook-in-training, and yoga teacher. Over the years, she struggled with numerous health challenges, an unhealthy relationship with food, and daily habits holding her back from thriving in life. 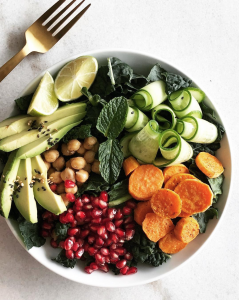 This blog is a wellness journey studded with mouth-watering plant-based dishes that are simple to create but absolutely certain to interest even the most vegetable-wary. Who are some of the chefs or home cooks that inspire you? We’d love to hear your perspective – reach out to us on Facebook, Instagram, and check out the other posts on the blog! Are you interesting in finding the perfect chef for your family? Get in touch!